Mahila Sashakti Karan Affecting Modi Also?. Everybody is talking about women participation in all walks of life and society. PM Modi has also expressed his desire at many places to promote women in all walks of life. Elections are nearing and two prominent women leaders of the country are demanding their share of power by unifying all opposition parties to challenge BJP in 2019 elections. Mamta didi and Mayawati ji are all set to find out solutions amongst opposition parties to present a unified face to voters. 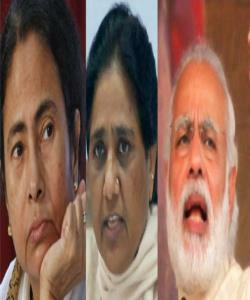 Both the leaders have a strong fighting will and BJP leadership will have to take them seriously.